Put some power in your paws! This high-powered Umarex Strike Point Air Pistol is powered by a multi-pump pneumatic power plant that zings pellets up to 600 FPS. 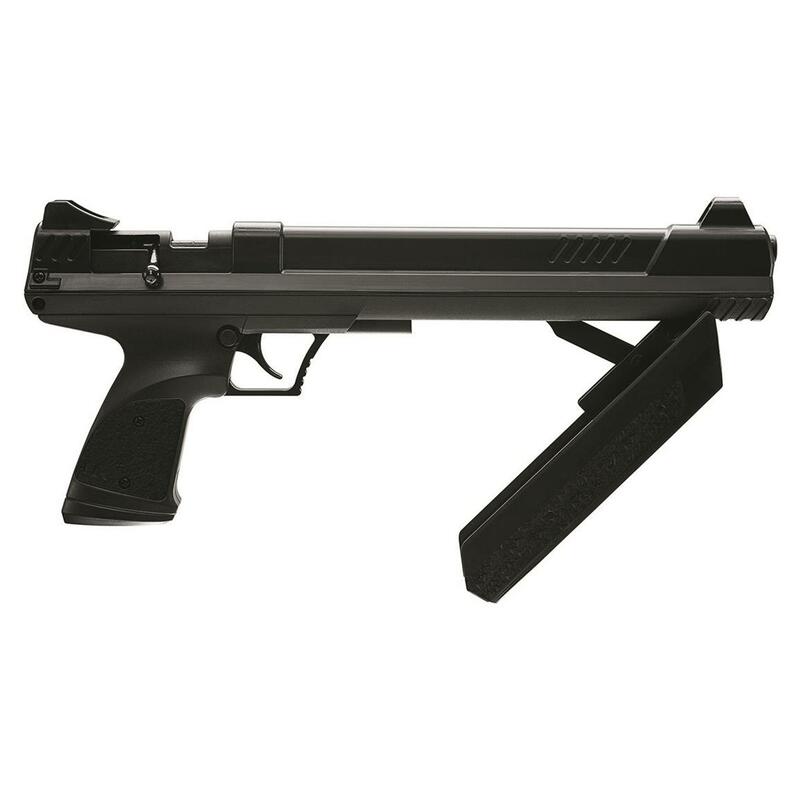 Plus, thanks to its SilencAir noise suppressor you won't alert the neighbors when you're plinking in the backyard! Great for target practice, pest control and more. 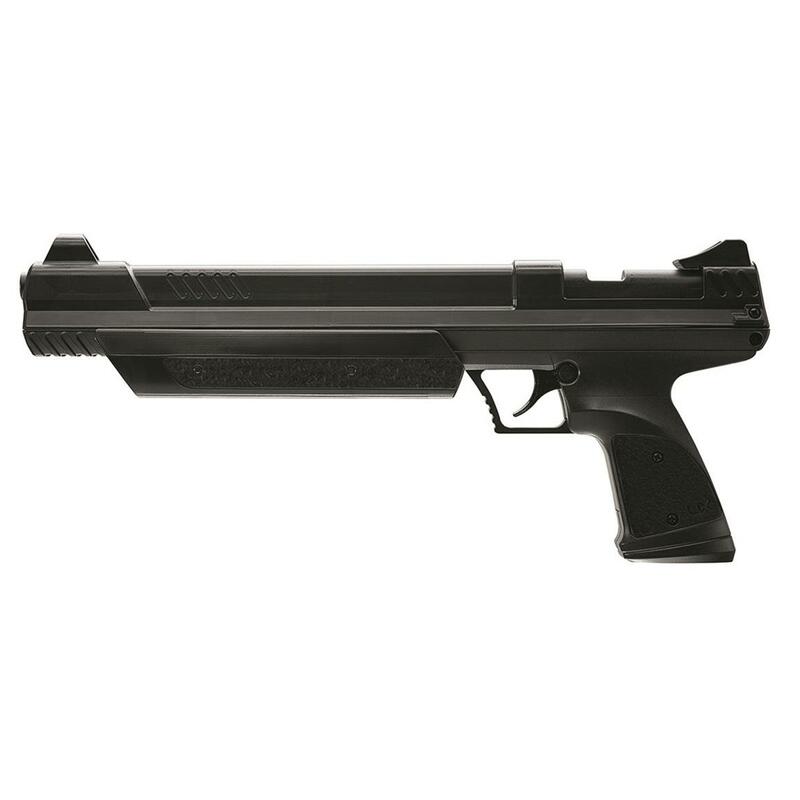 Umarex Strike Point Air Pistol, Bolt Action, .177 Caliber, Multi-Pump Pneumatic is rated 4.0 out of 5 by 2. 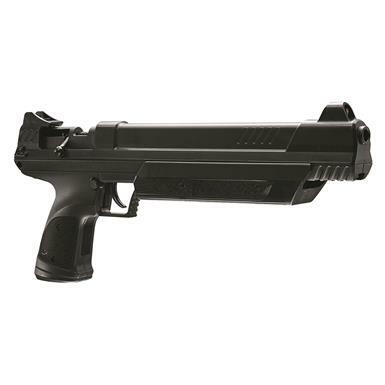 Rated 3 out of 5 by shooter from not as good as a crosman pumper power and accuracy are similar to the american classic, but the rear sight is poorly made, moves easily and ruins this gun. it is quiet when fired, but pumping it is very loud. i suggest buying a crosman 1322 or 1377, and if you already have one buy another, you will be much happier. Rated 5 out of 5 by Crackshot from Umarex Strike Point Well built. powerful and more accurate than I can shoot. A little heavy, but well balanced. 75% quieter than standard .22LR ammo.